It is nearly omnipresent in every facet of our life. It weighs us down whenever we have a test, finish an assignment, get our results, or give an important presentation. It can result in sleeplessness and even panic attacks. Stress is, unfortunately, a force that will pervade our last few years of high school, especially given all that we have at stake. I have understood that the outcome of what we do often causes us more stress and anxiety rather than the actual task—something we often ignore. Even though many of your peers may deny it, there is absolutely no alternative route or easier path to scoring well on your exams other than working hard and, most importantly, studying smartly. People often elevate themselves by claiming they didn’t put in the effort and hard work to study. Never get swayed by what your classmates say. I have come to understand that what we hear around us in our school environment can cause the most stress ultimately. Putting in your best efforts will serve you well and is always rewarding at the end of the day. Not all of us are born prodigies with eidetic memories; most of us need to burn the midnight oil, take extra classes, or practice examination questions to tackle tests effectively. 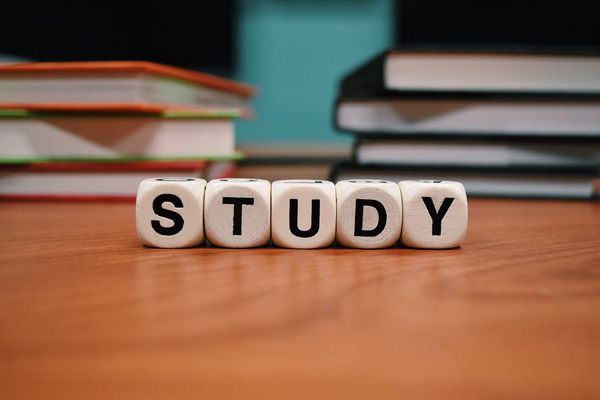 Consequently, the following study tips I’ve picked up over the years have helped me in easing my nerves before a big test, and they can help you tackle literally all manners of high school reckonings. If you wish to do all your reading and studying systematically, you would effectually have to start well before the day of the test or deadline. In this way, you ensure that you allocate enough time for each topic and sub-topic that you would potentially need to cover. You may even go beyond the syllabus or do some extra reading to better understand the concepts. Not only will it make you more proficient in the topic, but it will also help make your study time a lot more efficient and productive. A few weeks before my exams, I often make a detailed timetable and schedule of all the chapters and other necessary sub-topics I plan on revisiting before the exam. I divide up the workload and study the syllabus in small chunks each day. I often finish revising my content well before exam week begins so that I leave myself enough time for practicing exam-style questions and feeling less anxious, overwhelmed, and panicked about the test. The fear and apprehension we feel before an exam may largely stem from the fact that we simply aren’t well versed with prior concepts that are central to understanding the tested subject matter. Unfortunately, procrastination often exacerbates this problem. It’s important to accept the fact that you have forgotten something before moving on with the rest of the curriculum or syllabus. If you were to solve word problems in math, you would first need to familiarize yourself with all of the techniques before you finally go on to applying them during your exam. Spend enough time familiarizing yourself and building a strong foundation with basic concepts and exam questions before you move on to tackling more challenging problems and subject matter. Watching diagnostic videos or sometimes even reviewing notes from the previous year can really help you work on past concepts that you need to master. Every student has a different approach when it comes to studying. Some of us work better on our own, some watch videos and rely on online sources, while others seek external help from tutors or enrichment centers. It is vital that you realize the best approach that works for you and caters to your schedule. If you need serious help, ensure you get it well before your exams so that you have sufficient time to acclimatize and understand all of those important concepts for the exam. Don’t become too reliant on external help, though, as it may prevent you from becoming self-sufficient with your work when you finally go to college. Active WhatsApp groups, panicked texts from friends, frenzied e-mails to and from teachers, and “all-nighters”—sound familiar? The day before a major exam is usually chaotic and crazy to say the least. We often give into the panic and confusion that surrounds us and end up losing our sanities over some of the most trivial aspects. My best advice for you would be to use the evening to review what you have learned in class, discussed with your teachers, and practiced on your own. Going through solved question papers can be quite beneficial here as you understand the pattern of questioning and answers expected from you. Trust me when I say that cramming the night before never really bears much fruit. Ultimately, it’s what you have understood and the effects of your long-term memory that materializes on paper when you take your test. This is often easier said than done; the people who tell you to do so probably also don’t practice what they preach. But maintaining a positive outlook throughout exam periods is vital. Never put yourself down, but at the same time, don’t be overly pragmatic! Classrooms are always a flurry of chaos and panic before and after an exam. As a student, I never predict outcomes to any of my tests, as I neither want to be too encouraged or disappointed. I take each test in stride and put in my best efforts and attention. As a more reserved person, I often keep to myself before and after the exam to drown out all the pointless discussion, panic, crocodile tears, and disagreements. It really helps me maintain my calm and develop my focus for other upcoming exams. Some of you may be shocked by what I’m going to tell you next. But during exam time, we all need breaks or breathers to recuperate from staring at all of those chemical equations, demand and supply diagrams, and integrals. Our stress levels often escalate the longer we spend with our books and papers. Be it a sport, meal, hobby, or even a TV show, do something that will help you take your mind off studies and test scores for a while. Ensure that you don’t end up binge-watching a show or spending too much time on other tasks. Consequently, I started watching shows like Game of Thrones and The Americans and developing new hobbies during an especially stressful exam period last year. I found that during my breaks, I had something to look forward to and reward myself with. Be proud of the efforts you take toward trying your best and doing well in all of your exams. Maintain your calm, work to your strengths, and bridge the gap by overcoming your weaknesses. Sometimes it’s just easier to go it alone and rely on your own intellect, knowledge, and insight to help you complete your high school journey successfully. Ultimately, you are the lone maker of your successes. How is test season going for you? Let us know in the comments!